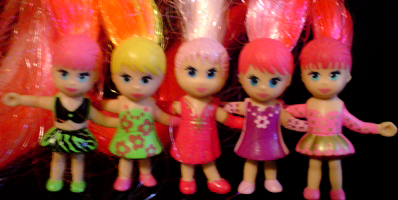 "The littlest hair styling friends!" 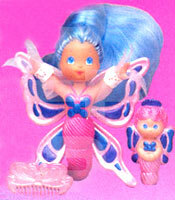 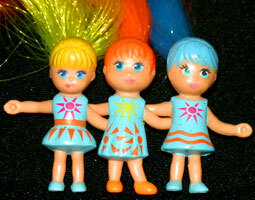 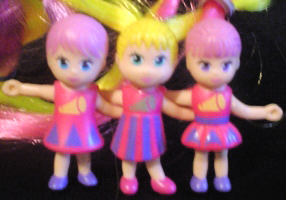 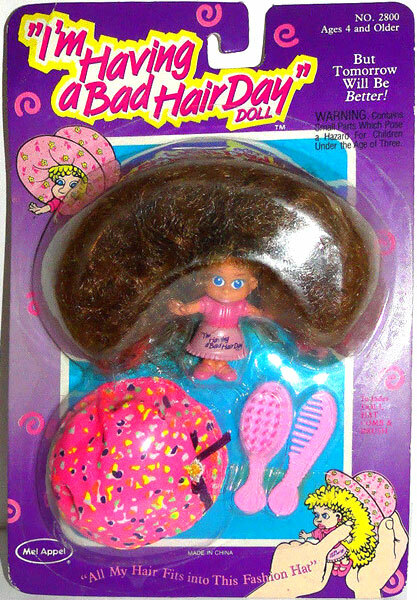 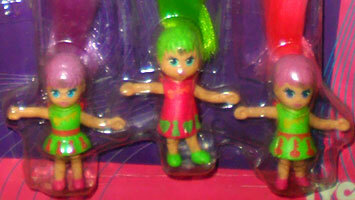 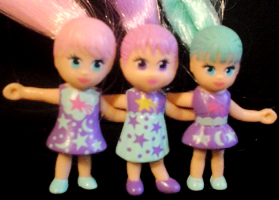 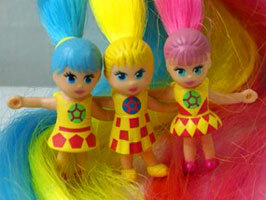 Fabulous Hair Friends were produced by Tyco in 1994-95. 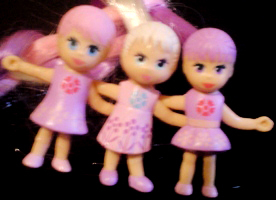 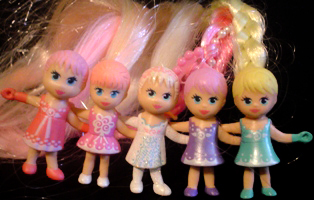 They were a small series of miniature dolls with interlocking arms and very long hair for styling. 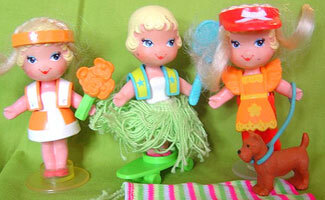 Images on this page either mine, thanks to Jana or found on eBay ! 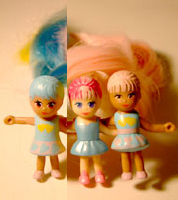 View all Fabulous Hair Friends on eBay.com or eBay.co.uk ! 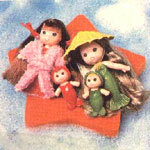 There were eight sets of dolls sold in sets of three. 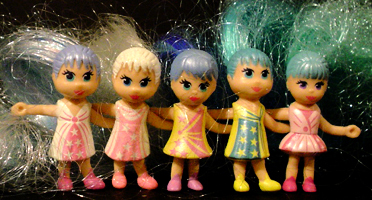 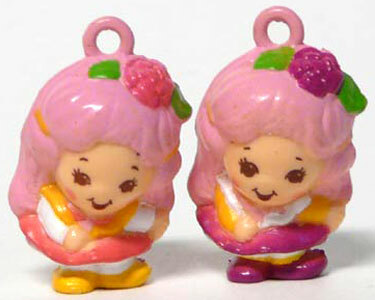 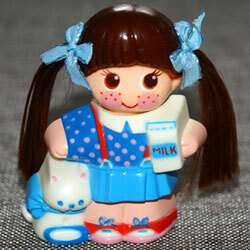 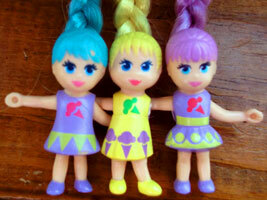 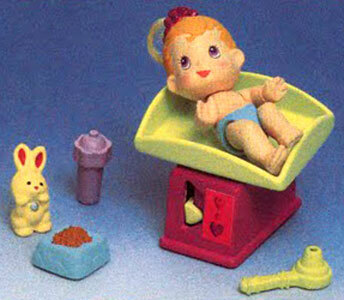 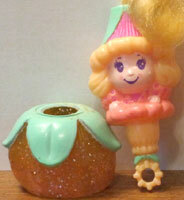 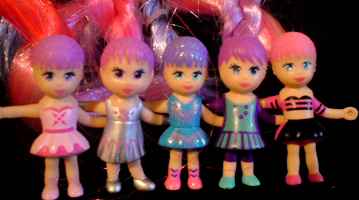 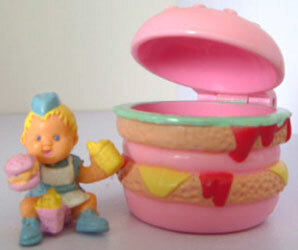 Each set came with a comb (the same comb design used for Tyco's Quints Cousins), hair clip and stand for the dolls. 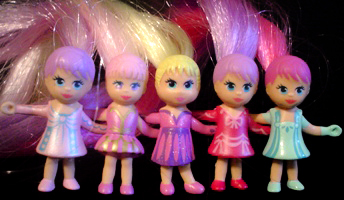 On the back of each card was a diagram of a unique hairstyle for each set of dolls. 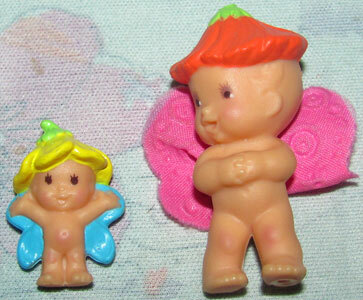 I may have Playground Friends and Sharing Friends mixed up as I've not yet been able to find any packaging images of these two sets. 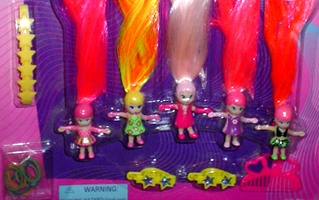 "Five friends with star hair accessories!" 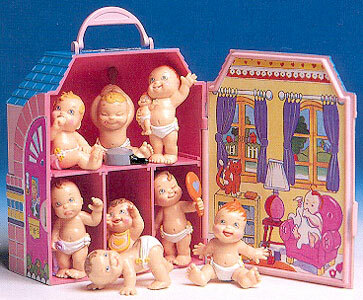 There were six sets of dolls sold in sets of five. 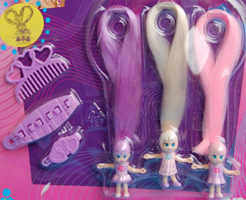 Each set came with a comb, two hair clip, hairbands and stand for the dolls. 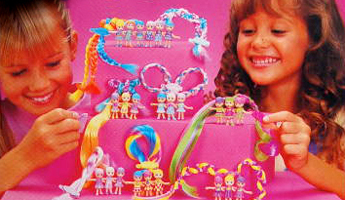 On the back of each card was a diagram of a unique hairstyle for each set of dolls.